At Silversun Pictures we create strong visual communications for every type of client under the sun, including public, private and not-for-profit. We work for organisations large and small across a diverse range of sectors. Our experience with government is extensive. We get what makes government tick. And we get how government works. Whether you need to build your brand, generate business, launch a new product or communicate a policy or position, we create informative, entertaining visual communications that resonate and engage. We make your brand stand out from the crowd. We motivate staff, customers and stakeholders to act differently. At Silversun Pictures we work with with a multitude of allied defence industry contractors to help connect concept with understanding through visual communication. Video is an increasingly fundamental feature of the media landscape. Like text and images, video has become central to online communication, and is a foundational component of any national organisation’s storytelling and online engagement. 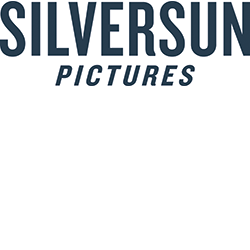 SilverSun Pictures tackles every project with vision, passion and persistence and across all media platforms, including broadcast, cinema, online and social. The results for your organisation? A picture perfect way to convey your messages, command attention and win over your audience.